First God was ‘put on trial. Then came the politicising of to whom God or Allah ‘belongs’ to. And despite there being sufficient proof that shows Allah is not exclusive to the Malays, the truth has been hard to digest by zealots who continue to stake claim on ‘Allah’. MP Tom Greatrex voiced his concern for the East Malaysian Christians. Malaysia’s perceived prejudice against Christians in the country was heard in UK Parliament recently. Now that the issue of restricting or prohibiting the Catholic weekly newspaper “The Herald” from using the word Allah is set to go to the apex court in the country, there are more puzzling questions that have arisen over what is seen as a “non-issue” that now threatens to disrupt and divide the fabric of the nation. How on earth and for what good reason should this issue drag on and become a protracted crisis when it should not have erupted at all in the first place? While the home ministry has the right to impose restrictions and prohibitions on a publication if it is deemed necessary, in this event it appears to have gone overboard. Deeming it a sensitive matter, Church and Sikh leaders say they would leave it to the Federal Court to decide on the use of the word ‘Allah’. In the wake of a royal decree banning non-Muslims from using the word ‘Allah’, Christian and Sikh religious leaders refused to be drawn into commenting on the matter. Council of Churches Malaysia (CCM) secretary Rev Hermen Shastri said he does not want to make a comment regarding the Allah issue as it was a sensitive matter. The Bumiputera Church will continue to use the word “Allah” as it is the fundamental to all aspects of our profession and practice of our Christian faith. As we have heard from the public forum today, and has been stated numerous times to the media by church leaders from both East and Peninsula Malaysia, the word “Allah” has been used or spoken by the native communities of Sarawak and Sabah for generations. “Allah” has been used long before the formation of Malaysia and is part of our native language. 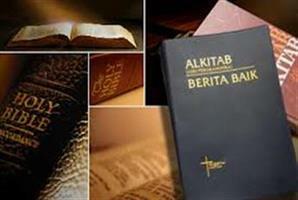 It is used in all aspects of Christian faith and practice by Bahasa Malaysia-speaking Christian and other native speaking including in services, prayers praise, liturgy, worship and religious education. As such, it is reasonable to expect that the word also be used in our Christian publications and multi-media resources. Southeast Asia’s Anglican Archbishop Bolly Lapok said non-Muslims need to ‘hear and see more than just a display of ad hoc benevolence by the Malaysian government’. The Sultan of Selangor, Sultan Sharafuddin Idris Shah (pic), for a second time this year has called on non-Muslims in the state to not refer to God as Allah. Members of a church congregation. Lawyers have warned that the October 14 ruling by the Court of Appeal applies to Christians nationwide. – The Malaysian Insider file pic, November 13, 2013.Sarawak churches have urged Putrajaya to show more commitment to religious freedom in Sabah and Sarawak in a three-point request unveiled at a forum in Kuching today. Christian leaders in Sabah and Sarawak have vowed to carry on using the word Allah even if it meant being prosecuted under a Home Ministry directive allowed by a court ruling. They also accused Putrajaya of trying to mislead Christians from East Malaysia into believing that the Court of Appeal ruling was only applicable to the Catholic weekly, Herald. The Association of Churches Sarawak has urged Putrajaya to show more commitment to recognising religious freedom in Sabah and Sarawak. The group’s chairperson Archbishop Bolly Lapok said thus far, Putrajaya hads only displayed “ad hoc benevolence” whenever religious freedom cropped up. SHOWDOWN ‘ALLAH’: Church files appeal but will its bid be blocked by Najib, Muslim ultras? The Catholic Church has applied for leave to appeal to Federal Court to overturn a controversial ruling that deemed the word Allah was exclusive to Muslims; and hence barring its weekly publication, the Herald, as well as other non-Muslims from using the word to refer to God. The confusing and contentious ruling laid down last month by a 3-member all Malay-Muslim Court of Appeal panel has stirred unprecedented criticism and ridicule for Prime Minister Najib Razak’s Umno-BN government, from both domestic and international sources. The Catholic Church has filed an application for leave to appeal to the Federal Court the decision of the Court of Appeal which had allowed the government’s appeal to ban its weekly publication The Herald from using the word ‘Allah’ to refer to God. Benjamin Dawson, one of the counsels representing the church, said they had filed the application at the Federal Court registry yesterday. Najib has spoken, the world can now judge how LOW are his standards! It is being reported that the Prime Minister of Malaysia, Datuk Seri Najib Abdul Razak in his interview with Reuters in London, speaking along the sidelines of the World Islamic Economic Forum, has confirmed that the “Allah” ban only applies to the Catholic Weekly, The Herald. So the prime minister has in doing so revealed several serious concerns f or national and global debate. Christians form the majority of Sabah and Sarawak. – The Malaysian Insider file pic, October 30, 2013.Law enforcement agencies must prosecute Christians who attempt to proselytize Muslims but the Sidang Injil Borneo (SIB) is totally against Putrajaya banning the word Allah from being used for religious instructions to Christians. Minister in the Prime Minister’s Department Joseph Kurup are among cabinet members who say Christians could use Allah in their worship. – The Malaysian Insider pic, October 29, 2013.Let the debate end. Non-Muslims in Malaysia cannot use the word Allah, say constitutional lawyers. Christians attend a church mass in Petaling Jaya. Lawyers have argued that the October 14 Court of Appeal ruling on the word Allah applies to Christians nationwide. – The Malaysian Insider file pic, October 28, 2013.The Sabah Law Association (SLA) wants to stand side by side with the Catholic Church when the Allah case goes before the Federal Court, a sure sign of the widening impact of restricting the word to Muslims only. The SLA met on Saturday and made the decision after concluding that the Court of Appeal ruling on October 14 had violated the constitutional rights of Christians in Sabah. 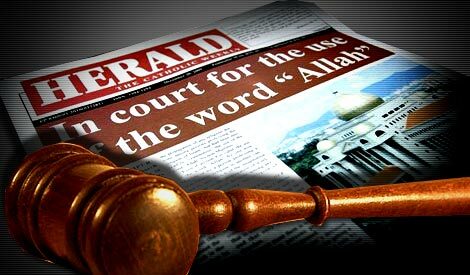 The Herald is currently appealing against the Court of Appeal ruling prohibiting it from using the word Allah in its Bahasa Malaysia edition. – The Malaysian Insider pic, October 28, 2013.The Home Ministry today said that the seizure of the Catholic weekly Herald in Sabah last week was only for inspection. Defending its move to stop the distribution of 2,000 copies of the newsletter to churches in Sabah, the ministry said it was to ensure that the latest issue did not contain the word Allah, in line with the Court of Appeal ruling on October 14. It is just unthinkable what’s next, given the “Endless Possibilities” of the PM’s minted slogan, in so far as the assault on the Catholics continues. The latest freezing of 2,000 copies of the Herald newspapers by authorities is more than injustice. Sidang Injil Borneo (SIB), Sabah’s second largest church, has assured Muslims that the Catholic church’s appeal against the Allah ruling is not against them or Islam, but against the wrongful conduct of the Federal Government and its officials. In a communique to its leaders and members today, SIB said the church has never undermined the position of Islam as the religion of the federation. Idris Jala disagrees with the seizure of Herald copies in Kota Kinabalu, but says there could have been a misunderstanding. – The Malaysian Insider pic, October 28, 2013.Datuk Seri Idris Jala believes that the order to stop the distribution of the Herald in Sabah over the weekend was a case of a “misunderstanding”, adding that the 10-point agreement between Putrajaya and East Malaysia still stands. Archbishop Tan Sri Murphy Pakiam (pic) had sought the intervention of a Barisan Nasional MP in Sabah while questioning an order from the Home Ministry to stop the distribution of the latest Herald publication in Sabah. Tuaran MP Datuk Wilfred Madius Tangau said, in a Facebook posting today, that he had interceded with the Home Ministry on behalf of the Catholic Church to obtain approval for 2,000 copies of Herald to be released in Sabah. Sarawak Land Development Minister Tan Sri Dr James Masing (pic) has put the stop order on the distribution of Catholic weekly Herald in Sabah to Home Ministry officials making decisions in haste without consulting their political leaders. The detention of 2,000 copies of the Roman Church’s publicationThe Herald last Friday at the Kota Kinabalu Airport by the Home Affairs Ministry has shown that the ministry’s officials have ignored Prime Minister Najib Abdul Razak’s assurance that the world ‘Allah’ can be used in Sabah and Sarawak, said Baru Bian, chairperson of Sarawak Parti Keadilan Rakyat (PKR). “The prime minister’s assurance does not hold water as proved by the detention of these copies of The Herald. Putrajaya has stopped the distribution of some 2,000 copies of this week’s edition of the Catholic weekly Herald in Sabah, raising tension between the Catholic Church and the Barisan Nasional government. Herald editor Reverend Father Lawrence Andrew told The Malaysian Insider that the forwarding company was informed by the Home Ministry that the copies were not to be distributed. “As always, the Home Ministry will pick up a copy for vetting purposes when it arrives in Kota Kinabalu. Who in the world – Muslim and non-Muslim faiths included – has not expressed shock and serious concern over Malaysia’s stand on the ‘Allah’ word? The world’s largest Muslim population, Indonesia, has taken a firm objection as seen from the respected daily there, the Jakarta Post. Even the bedrock of Islam, the UAE, has expressed no support for Malaysia’s position on making the ‘Allah’ word exclusive for Malaysian Muslims. Any chance of a meaningful solution in ‘Allah’ furore? Malaysia’s ‘Allah’ controversy is fundamentally a political issue about how different communities relate to one another. It is not a legal issue. The Catholic Church needs to take account of the Malay community’s majority view before deciding on the next step. If unrestricted use of the word Allah is not acceptable to the moderate Malay community, then the Church, together with others, should search for a compromise that will preserve the religious practices of Christians in East Malaysia as well as that of the Sikhs, who also refer to their God as Allah. A Sarawak leader has called for the sacking of Tourism and Culture Minister Datuk Seri Nazri Abdul Aziz over his “inappropriate” and “contradicting” remarks on the Allah issue. See Chee How, the state PKR vice chairman and Batu Lintang assembly member, said Nazri’s statement on the use of the word “Allah” by Christians contradicts those made by the prime minister and other ministers. Prime Minister Datuk Seri Najib Razak (3rd from left) and wife Datin Seri Rosmah Mansor, flanked by Taib and his wife, at the Parti Pesaka Bumiputera Bersatu meeting in Kuching, today. – The Malaysian Insider pic, October 21, 2013.The Allah issue between Muslims and Christians in Peninsular Malaysia does not affect Sarawakians because they are a tolerant people, said Chief Minister Tan Sri Abdul Taib Mahmud. “To us (people in Sarawak) there is no issue. We have lived with people of different races and different religions for many decades, even before Malaysia,” Taib said in his first public statement on the issue since the Court of Appeal ruled last Monday that the word Allah could not be used by the Catholic weekly, Herald. The invoking of the name of “Allah” is awesome to billions of Muslims and non-Muslims alike around the world. Its reverberations can be felt not just on this earth and the heavens but throughout the universe and such is the magnitude of reverence and honor that is bestowed upon this name which is above every other name. Attorney General Abdul Gani Patail says the Herald is accessible to Muslims, which is why it is banned from using the word Allah. Attorney-General Tan Sri Abdul Gani Patail’s explanation that the recent court decision on the Allah issue only applied to Catholic weekly Herald has drawn criticism from two DAP lawmakers. Veteran lawyer Karpal Singh told Abdul Gani to go back to law school to interpret the Court of Appeal’s verdict. Many quarters have expressed their shock, dismay and disbelief on hearing the recent ruling on the use of the word ‘Allah’ by the courts; adverse public reaction is still raging. I do not wish to repeat these strong sentiments here but to offer my one sen’s worth of observation over this same issue. For this I quote the words as expressed by Justice Mohd Zawawi, one of the Court of Appeal judges. The Court of Appeal judgment in favour of the government was done at the expense of limiting fundamental human rights guaranteed by the constitution. Such rights are now subject to Islamic dictates. The appeal court did this by throwing out all the six orders made by the High Court of Kuala Lumpur four years ago that allowed the Catholic weekly The Herald in the use of the word ‘Allah’. Constitutional lawyer Dr Abdul Aziz Bari said the Court of Appeal was wrong in its decision banning The Herald from using the word ‘Allah’ to refer to God in its Bahasa Malaysia edition. Malaysia’s ban on the use of ‘Allah’ by Catholic weekly The Herald has been described by a Sudanese-born writer with the United Kingdom newspaper The Guardian as not a religious issue but an attempt by the majority ethnic group to seize the national identity of the country. In an article on the popular website of The Guardian, Nesrine Malik sympathises with non-Muslims, who she says are struggling to re-assert the country’s pluralistic national identity. “Why do we have one country with two interpretations of the use of the word Allah?” Sarawak Land Development Minister Tan Sri Dr James Masing (pic) asked this when commenting on the Cabinet decision yesterday that the Court of Appeal ruling, which banned the word Allah in the Catholic weekly, Herald, does not apply to Sabah and Sarawak. Prime Minister Datuk Seri Najib Razak with Christian leaders during Christmas last year. There is irrationality and irony in the Cabinet’s decision that the word Allah can be used in worship and in the Bahasa Malaysia bibles in Sabah and Sarawak – because one cannot compartmentalise religion by regions. Nor can the Cabinet override the court’s decision. The government must stop listening to the “stupid people” and instead educate Muslims regarding verses in the Quran which mentions non-Muslims discussing about Allah with the Prophet Muhammad. The Court of Appeal’s decision to ban the word ‘Allah’ in Christian publication The Herald does not change the fact that Islam allows non-Muslims to use the word in the first place, PAS said today. What’s next? 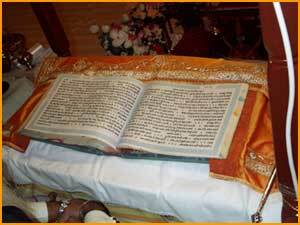 The banning of Sikh Holy Book? The Court of Appeal ruling on the Allah issue yesterday has given wide-ranging discretionary powers to the Home Minister to make pre-emptive executive decisions, says Tony Pua. The Court of Appeal decision yesterday which ruled in favour of the government on the use of the term ‘Allah’ has also given wide-ranging discretionary powers to the Home Minister to make pre-emptive executive decisions. Today’s court ruling which banned the use of the word Allah in the Catholic weekly, Herald, has a far-reaching implication as it affects all Christian publications printed in Bahasa Malaysia, said the Christian Federation of Malaysia (CFM). How does BN expect national security to remain intact when it decided to put God on trial, literally, creating psychological unrest for Malaysians irrespective of their religious beliefs? The Catholic Church hopes its prayers go answered next month when the Court of Appeal decides whether weekly publication Herald has legal ‘blessings’ to continue using the word ‘Allah’. The Court of Appeal says this after hearing submissions from concerned parties. The Court of Appeal will deliver its verdict on the ‘Allah’ issue next month after hearing submissions from government lawyers, the Catholic Church and counsel representing Muslim groups at the Palace of Justice in Putrajaya today. Court of Appeal judge Mohamad Apandi Ali, in reserving judgment, said that the court would deliver its verdict next month after going through all the arguments put forth. The Metro Tabernacle church in Desa Melawati, Wangsa Maju, was one of the churches set on fire following the outcome of the December 31, 2009, High Court decision allowing the Herald the right to use the word Allah. The Malaysian Insider pic, September 10, 2013.The Home Minister banned the use of the word Allah in the Catholic Church’s weekly publication on grounds of national security and public order. Putrajaya’s lawyer Suzana Atan told a three-man Court of Appeal bench in Putrajaya today that the prohibition was ordered as it touched on Islamic religious sensitivity. 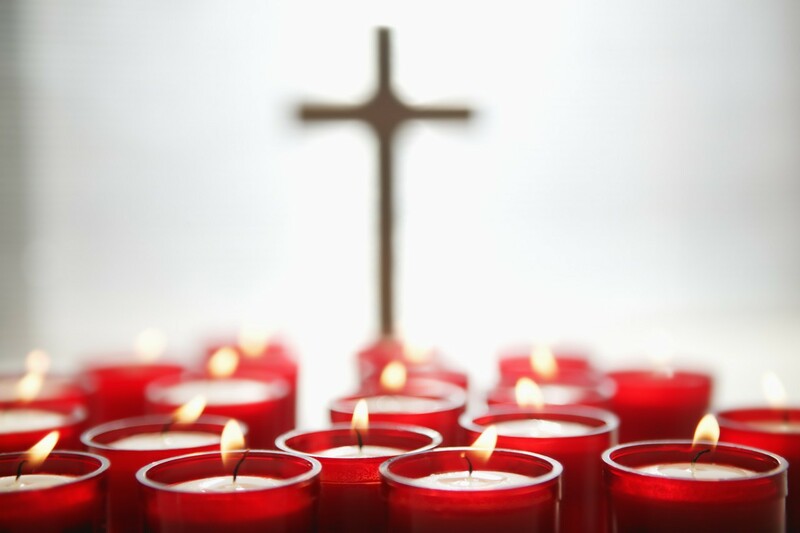 The Catholic Church has expressed grave concern over recent statements on the use of the word “Allah”, a matter which is still pending at the Court of Appeal. A statement issued today by Archdiocese of Kuala Lumpur chancellor Father Jestus Pereira noted that “many of the statements are stoking racial sentiments and creating religious tension in our country.